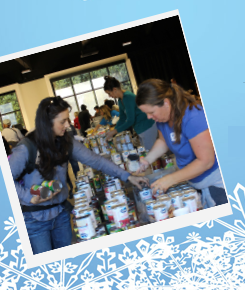 Each December we host an event at the L.A. County Arboretum, where our families with children receive a food box full of traditional holiday dinner ingredients plus new toys, books and clothing. Help us make their season bright with your generous donation. Thank you for your support!